This collection had constituted one of the core collections of the University Archives in 1945 and since then parts of it had been dispersed throughout various other collections. This collection was assembled in 2000. There are ten series in this collection. The correspondence, discipline and housing records, lecture and concert series, recorders diary, and reports series have been arranged chronologically. The miscellaneous, student life, University history, World War I, and writings series have been arranged alphabetically. The Office of the Recorder of the University of Pennsylvania was created in 1912 for George E. Nitzsche, the University’s publicity agent. Because Nitzsche was the only person to hold this position, the history of the Office is intertwined with his professional career. George E. Nitzsche was born in 1874 and attended the University of Pennsylvania Law School from 1895 until 1898. In the summer of 1896, he worked as an administrative assistant to the Dean of the Law School. After graduation, Nitzsche became Bursar and Registrar of the Law School for six years. It was during this time that he worked closely with the Dean, William Draper Lewis, to promote the Law School’s new building (now Silverman Hall). In 1901 he compiled and published the Proceedings of the dedication of the new Law School. This volume brought him to the attention of Provost Harrison and the Trustees. He became manager of the Bureau of Publicity in 1904. Nitzsche published a very popular pamphlet called the Official Guide to the University of Pennsylvania in 1904. A second “illustrated and greatly enlarged” edition was published in 1906. Nitzsche also founded the alumni publication Old Penn in November of 1902, which would later be renamed the Pennsylvania Gazette. This was an oversized, eight-page newspaper, which included two pages of “Advance Announcements” of University activities. An ad hoc committee of the Trustees in 1912 decided to increase Nitzsche’s salary and change his title from Publicity Agent to Recorder. The Recorder’s Office was a source of general information and advice for students and the public, both academic and personal. The office published a weekly calendar of University events and promoted exhibits, musicals, conventions, etc. As Recorder, he created an extensive archive of material concerning the history of the University and its alumni, continued to publish University guide books, managed lecture and concert series, and made lists of the student body according to geographic location. Nitzsche kept records of boarding and apartment houses and straitened out disputes between students and landlords. He made many suggestions for the improvement of the University, such as creating schools of music and journalism, establishing a University press, making recordings of faculty members, and resuming the publication of a University Directory. He established the Memorial Library in 1907 which housed work by University alumni. He also created University display booths for various world expositions. Outside of the University, he was president of numerous civic and charitable institutions and was one of the original supporters of the Independence Mall project. Nitzsche staged Philadelphia’s first open air opera at Franklin Field and managed other musical productions as well. 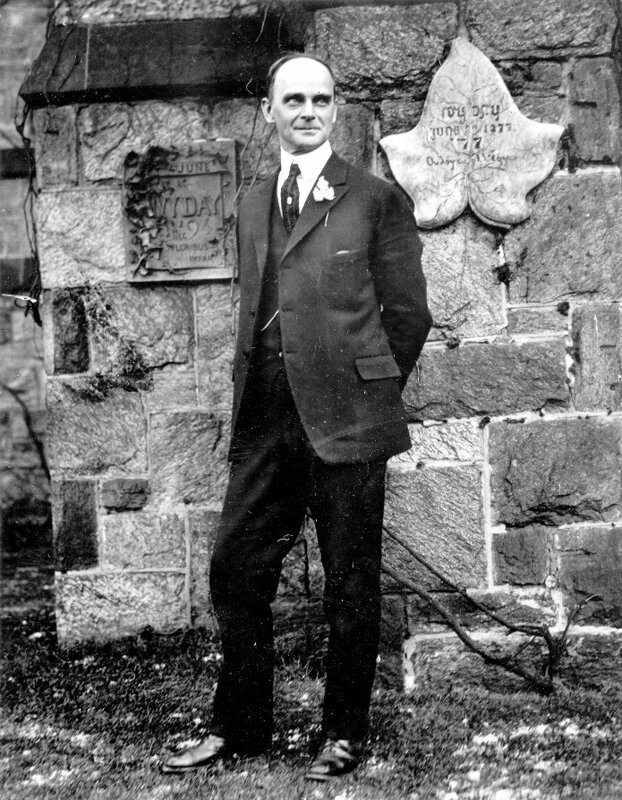 He received decorations and honors from contributors ranging from Czechoslovakia and Italy to the Sons of the American Revolution and Ursinus College. George E. Nitzsche died on July 28, 1961 and is survived by wife Elsa Koenig and daughters Elsa and Helma. These papers concern the duties and activities of the Office of the Recorder as filled by George E. Nitzsche. The correspondence series mostly includes requests for information and assistance as well as letters of thanks for his aid. The discipline and housing records contain minutes from the University Council on Welfare and Student Activities’ sub-committee on housing, of which Nitzsche was chairman. The series concerning lectures and concerts contains publications and letters sent to Nitzsche about prospective speakers and performers as well as programs printed by the University. The Recorder’s Diary is Nitzsche’s calendar of University events and includes clippings. The reports series concerns the Press Bureau and his activities as Recorder. Among other things, the University history series contains much concerning Eadweard Muybridge, whose moving picture experiments at the University were extensively researched and documented by Nitzsche. His research into the role of the University and its students during World War I is included in that series. Information concerning University history, alumni, the Memorial Library, and Nitzsche’s civic plans for improving Philadelphia are included in the writings series. The photographs that Nitzsche collected of University buildings and events now form the majority of the photo collection of the University Archives (UPX 12). The writings that formed the Memorial Library of the Publications of the University of Pennsylvania and Her Sons now form the publications section of the University Archives. University of Pennsylvania. University Council on Welfare and Student Activities.